What if you could permanently correct your vision and never have to wear glasses or contact lenses again? LASIK surgery offers you just this solution, and it’s a safe and effective procedure that’s been performed on thousands of patients. To see if you qualify for LASIK surgery, visit Dr. Barry Toyzer at The Eye Doctors in Havertown, Pennsylvania. Get the clear vision you’ve always wanted by calling or booking an appointment online today. LASIK surgery helps many longtime wearers of eyeglasses or contact lenses. It's the most common type of refractive eye surgery, and it works by reshaping the cornea, so light enters the eye properly. This results in clearer vision. LASIK surgery can address nearsightedness, farsightedness, and astigmatism. For most patients, LASIK is an uncomplicated, pain-free surgery that improves vision in about 24 hours. Dr. Toyzer and his team at The Eye Doctors evaluate if you are a good candidate for LASIK. In most cases, Dr. Toyzer thoroughly examines your eyes and evaluates your eye health, the extent of your vision problems, and any other factors to see if surgery is right for you. If you are a good candidate for LASIK surgery, you and Dr. Toyzer discuss several surgical options, and The Eye Doctors team contacts their partner LASIK surgery center to make further plans. Follow-up care is essential to successful LASIK surgery. You’ll most likely use antibiotic eye drops and steroid drops to promote healing after surgery. You may also have dry eyes, light sensitivity, and halos at night for a few months after the procedure. What are the benefits of LASIK surgery? Most patients who opt for the LASIK procedure say they wish they’d done the surgery earlier. You can expect improved vision within hours after the surgery, and many patients have 20/20 vision after they’ve fully healed. The biggest benefit of LASIK surgery is that you’ll no longer have to wear contact lenses or glasses. In the long run, this saves you hundreds or even thousands of dollars. If you have astigmatism or extremely poor vision, LASIK can drastically improve your vision and quality of life. 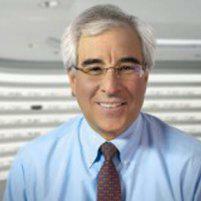 Dr. Toyzer is a trusted optometrist who can help you determine if LASIK is right for you. To book a consultation with him at The Eye Doctors, call the office or schedule an appointment online today.